Hello gentle readers and happy Sunday. 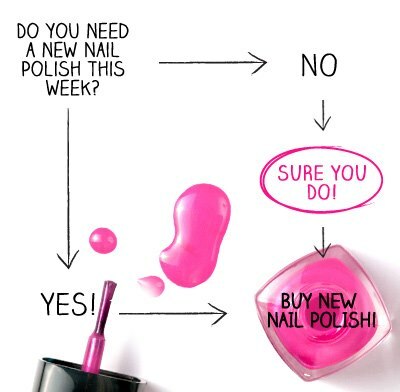 Today I am sharing the best flow chart ever. I found this on (where else? LOL) Facebook and thought that you might relate. Starting Monday, I will begin showing my swatches of the OPI Liquid Sand polishes. more οn this topіc? I'd be very grateful if you could elaborate a little bit further. Appreciate it! One? Who buys just one at a time?